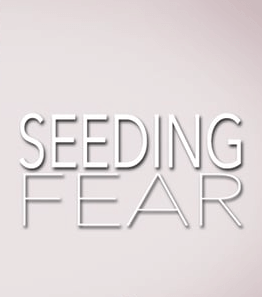 inteNeil Young’s released a 10-minute documentary “Seeding Fear: The Story of Michael White vs. Monsanto” on his Facebook page, timed to coincide with the U.S. House of Representatives vote on the Safe and Accurate Food Labeling Act, dubbed the Deny Americans the Right to Know (DARK) Act by opponents. The last-ditch effort to inflame the debate did not change the outcome. 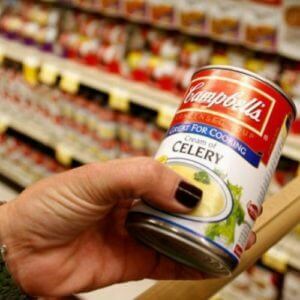 The bill, which would if passed in its present form [which will not happen, as a Senate version is considerably different and is a long shot even then to pass] would restrict states from having separate GMO labeling regulations and provide federal guidelines for voluntary labeling, passed 275-150. Next, the Senate will debate the bill. 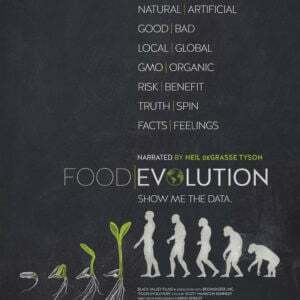 The mini-doc tells the story of Michael White, who was sued by Monsanto for saving patented soybean seed and lost. The film is the latest in Young’s media campaign against Monsanto, which includes his recent album, “The Monsanto Years.” Last fall, he boycotted Starbucks accusing them of affiliating with Monsanto because they were members of the Grocery Manufacturers Association, which sued Vermont in opposition to the the state’s mandatory GMO labeling law. 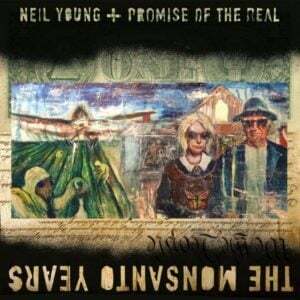 A Message From Neil Young – As I write this, the Dark Act is up for a vote in the House of Representatives; representatives of the people. The Dark Act takes away the rights of those people to vote for or against things like GMO labeling in their states. It does seem ironic. If the act is passed, it will truly be a dark day for America. Monsanto is a corporation with great wealth, now controlling over 90% of soybean and corn growth in America. Family farms have been replaced by giant agri corp farms across this great vast country we call home. Farm aid and other organizations have been fighting the losing battle against this for 30 years now. Of course the Safe and Accurate Food Labeling Act passed with overwhelming bi-partisan support. There is no science or factual information in the film; it’s just agit prop, an appeal to raw emotions. The documentary misrepresents the real story. White is no victim. In court documents, Monsanto Company versus Michael White, Wayne White, White’s Seed Cleaning, and White Farms Feed & Seed, White admitted to knowingly planting, producing, saving, cleaning and selling Roundup Ready soybeans illegally. According to the court records, White started saving Roundup Ready seeds on his family farm in 1998. He continued to do so in 1999, and at this point, he began selling the seeds to Alabama farmers. Mr. White continued this practice in 2000, 2001 and 2002, at which point Monsanto realized he was saving and cleaning patented seeds. Monsanto approached both Wayne and Michael White with evidence, and ended up dismissing the case against Wayne when Michael admitted to farming in his father’s name. After a couple years of legal actions, the company settled with Michael in 2006. Again, Michael White admitted he knowingly planted, produced, saved, cleaned and sold Roundup Ready soybeans, which are protected by a patent. 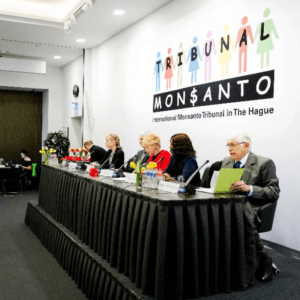 Monsanto has “sued hundreds of farmers for patent infringement.” The fact is that Monsanto has pursued legal action against 147 farmers, with 11 cases going to trial. As there are more than 300,000 farmers as potential customers every year, this number equates to less than 0.1% of all farmers. “Over 90% of the soy beans (sic), corn and cotton produced in the USA are a product of Monsanto.” This claim an example of how those who do not want to present the truth can manipulate facts. The intent of this quote is to imply that Monsanto “controls” more than 90% of the seed market; that it has a monopoly over the US seed supply. That’s factually not true. Monsanto developed and patented the Roundup Ready trait, which makes engineered corn, soybean, cotton resistance to the herbicide glyphosate. That trait has been licensed to hundreds of other competing seed companies for use in their particular seeds’ genetics–different for each company. So while the patented trait may have been developed using Monsanto’s patented technology, there is a robust and competitive market for herbicide resistant GMO seeds. “The thousand-year tradition of saving seed is over with.” That’s absurd. 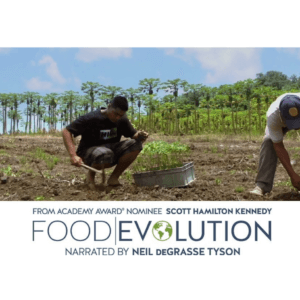 Farmers can still save seed, and in this film White himself notes he still does this. Wheat, soybeans and cotton, in addition to other grains like barley and oats, are saved by farmers all over the country. However, farmers cannot save seed if there is a patent on the seed (like the Roundup Ready soybeans); this applies to patented non GMO seeds and patented seeds used by organic farmers, and has been US law for more than 80 years. Farmers can save formerly patented seeds that go off patent (for example, the University of Arkansas has released herbicide resistant soybean seeds featuring the Roundup Ready technology that went off patent in 2014). Farmers may also choose not to save seed year after year, because seed companies and universities are improving the genetics of the crops every year. Terminator genes. Monsanto has never developed a biotech trait that resulted in sterile – or “Terminator” – seeds. No company has. Monsanto announced in 1999 that it would not commercialize technologies that result in sterile seeds in food crops, and it has no plans or research that would violate that commitment. The Monsanto Years,” makes me sad. It reminds me once again what a lousy job we have done in communicating about our business and engaging in dialogue around science with the public. If you listen to the new album, you’ll hear a rehash of many of the myths we’ve long heard about our company. Unfortunately, some of these myths are now so well-established in some circles that people don’t even question them. Young suggests, for example, that our company is making life more difficult for farmers, that we bully them with lawsuits, and that we‘re all about greed. None of this is accurate. The truth is that farmers are our customers, and our 22,000 employees focus on improving their operations and their lives. If we didn’t, we wouldn’t have those customers for long. They have many choices. Will Young agree to learn about the science of genetic modification and the facts of the debate over the future of farming? Or is he so fixed in his ideological viewpoints that dialogue is off the table? NOTE: This article was updated on July 27 by editor Jon Entine at 3:56pm et to include analysis of specific claims made in the Michael White film.